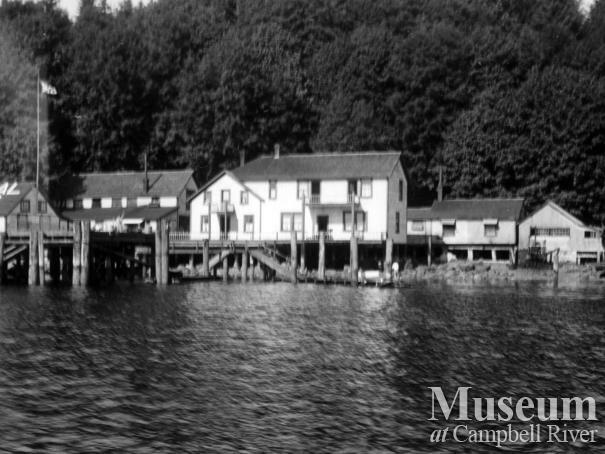 From left: Gas storage, store, Anderson family house, caskhouse(? ), tast(?) house. 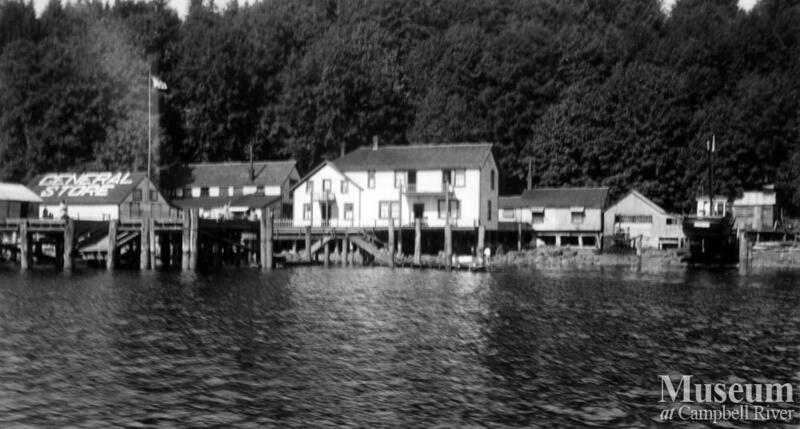 The Anderson family owned and operated the Quathiaski Canning Co. and the house in the center is where they would live when the cannery was operating.